Karting in Australia will continue on its upward trajectory for at least another three years. A million-dollar financial turnaround, simplification of classes and rules, and a new championship focus are hallmarks of the first two years of management of Australian karting by the Australian Karting Association Ltd (Karting Australia (“KA”)). The next three years will focus on grassroots development and delivery on the recently announced objectives of Karting Australia’s Strategic Plan. KA represents the interests of approximately 7500 karters across 88 clubs in seven states and territories and was totally re-structured in 2013 under the leadership of Mick Doohan, including the creation of a new limited-liability company. A new management structure put in place by KA has been focussed on a more professional approach to karting, which serves as the bedrock for Australian motorsport. The objective was to end the stagnation in the sport, modernise and equalise competition, and bring karting into line with the rest of the world, as well as returning KA to profit after losses of more than $300,000 in just three years. “The improvements to Australian karting over the past three years are obvious and substantial,” said the Chief Executive of CAMS, Eugene Arocca. “The Board and management team is doing a great job and has the full support of CAMS, the CIK and FIA. The report card for KA comes after the Annual General Meeting in Queensland that included the 2015 financial results and reports. Incumbent Finance Director Phil Smith was re-elected unopposed and joins Melissa Holzberger, Administration and Deputy Chair; Rob Crawford, Technical; and Chris Styring, Marketing as Elected Directors and Craig Denton, Appointed Director on the Board. Expressions of interest will open soon for the position of Competition Director that will be filled as a casual vacancy. 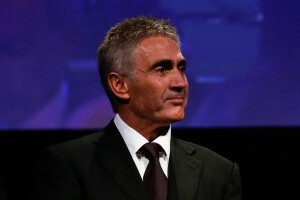 Mick Doohan did not stand for another term as Competition Director. Following the AGM, Doohan a five-time MotoGP world champion accepted the second Board Appointed Director position on the Board and was unanimously elected as Chairman of the company. It follows three previous years as the Chairman. “The Board has acted in the best interests of KA choosing to chart a path of stability, vision, planned development, succession planning and permitted Board expansion for the company. The sport and the company needs a Board with a strategic, financially grounded approach to management, growth and development,” the Board said. Doohan said he was proud to have his contribution recognised by the Board and honoured to continue his work in karting. “When I joined KA we had a clear vision for the sport and its future. It’s good to see that picture coming into focus,” said Doohan. “We still have a long way to go, with the focus now at the grassroots level but I’m pleased that we have put karting on a sound financial footing, and what has been achieved so far. How did you get first get involved in karting?